Member for Lilley Wayne Swan. 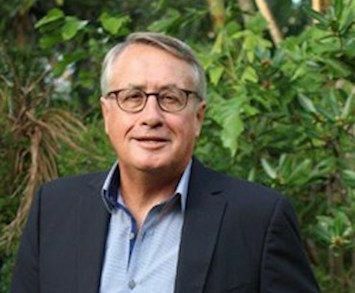 Senior editor Michelle Pini interviews Wayne Swan to discuss his retirement, political motivations and thoughts on neoliberalism. WAYNE SWAN is retiring from Parliament. The former Deputy Prime Minister and Treasurer, and current Member for Lilley's announcement that he will not contest the next election has passed with little fanfare. Asked why he has taken a back seat since his re-election in 2013, Swan is dismissive, indicating he would be in a more prominent role within the Labor Party if he chose to be, but he wants more time — time for life outside Parliament. Not in the limelight, perhaps, but Swan is certainly driven, by anyone's standards — especially for a man announcing his retirement. His commitment and enthusiasm for his cause dominate the conversation. "I will still be very much involved [in the Labor Party] — I’m just retiring from office." Swan, who spent six years as Federal Treasurer during the Rudd and Gillard governments, is widely credited with saving Australia from the devastation of the global financial crisis (GFC) and lists this as his greatest achievement in politics. Indeed, he is also internationally lauded and was even awarded the title of "world's best treasurer”. But did Labor, as some have suggested, lose to the Coalition in 2013 because the Australian public didn’t share the international view of its economic policies? Australia avoided the skill destruction and capital destruction that devasted the rest of the world; we protected jobs and protected investment — there’s no question that it was [our policies] ... that saved Australia suffering the recession that crippled most Western economies. Polling shows Australians overwhelmingly supported our policies during the GFC … and we were re-elected in 2010. "Malcolm was never a small "l" Liberal ... he is a 'plutocrat' of the ilk of the Republican right in the U.S."
Wayne Swan pulls no punches. Indeed, there is little about him that indicates any confected restraint. Perhaps this is why he retained his seat in the 2013 election that devastated his party. [Former PM] Tony Abbott and a group of extreme right-wing thugs conducted one of the most vicious and destructive scare campaigns in modern history on deficit and debt — which has since doubled and even tripled, in some years ... And they have been aided by the Murdoch press, which has acted as a cheer squad and echo chamber. ... the exorbitant power bills we are seeing today are a direct consequence of the carbon price being removed. There is no environmental framework whatsoever. When [Labor] brought in the carbon price ... the Liberal Party labelled it a carbon tax and the Greens voted it down — it's a tragedy that it has been destroyed. Losing that debate in Parliament is one of my most profound regrets. And what of Prime Minister Turnbull? "Malcolm was never a small "l" Liberal. He wasn’t a progressive when he led the Opposition the first time [in 2008] — he is a "plutocrat" of the ilk of the Republican right in the U.S."
Recently described as the 'the Bernie Sanders of Australian politics', in the past, Swan has also variously been referred to as “moderate” and leaning towards the Labor right. "I'm a Labourist. My philosophy and values are exactly the same as when I was first elected and gave my maiden speech in 1993. They haven't changed." Swan agrees that there is a growing global shift to the right, however, which he describes as a "disturbing radicalisation of the right-wing conservative forces", and which has led to the election of Donald Trump. According to Swan, in Australia, vested interests and the influence of right-wing organisations, such as the Institute of Public Affairs (IPA), have a tighter hold than ever before, as they are sanctioned by the Turnbull Government. He says deregulatory trickle-down economics doesn't work, but "the Right has more resources." Swan is confident of a Shorten-Labor win at the next election — and of his place as a driving force behind his beloved Labor Party. Drive change. Subscribe to IA.